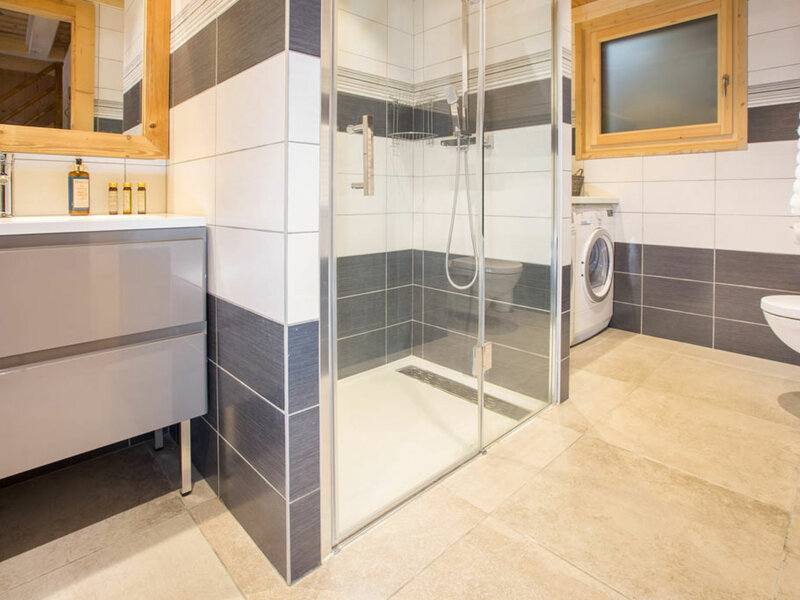 Luxury 3-bed self-catered apartment right in the centre of Les Gets and just 70m from the Chavannes lifts. 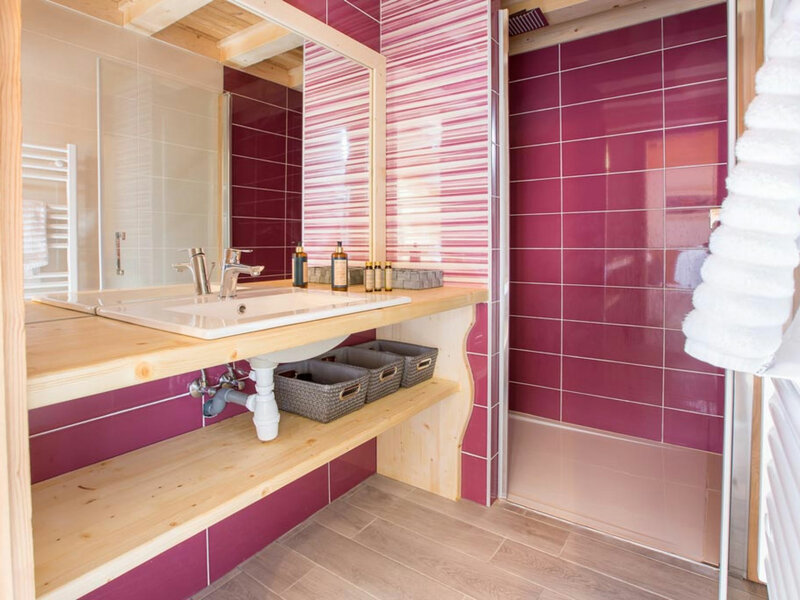 Is this the best-located self-catered apartment in the centre of Les Gets? 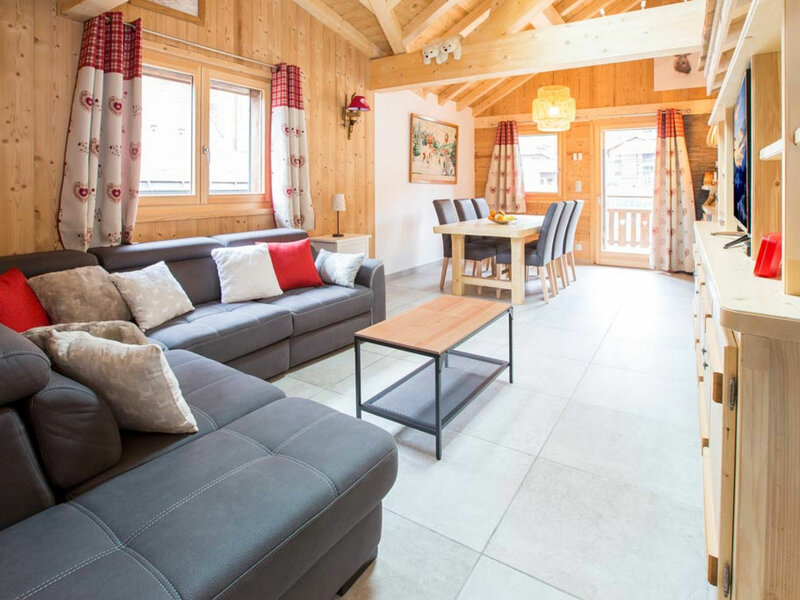 We think it’s impossible to find more central accommodation to rent in Les Gets. The charming 3-bedroom ‘Apartment du Centre’ is right in the middle of everything Les Gets has to offer. 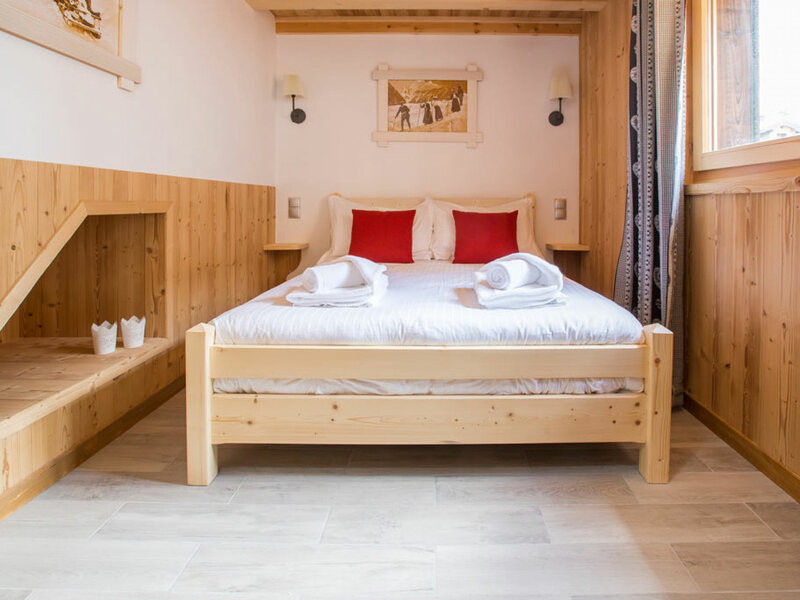 It is less than a 2-minute walk to/from the Chavannes lifts (70m), which is the main link into the Morzine-Les Gets and wider Portes du Soleil ski areas, whilst the shops, restaurants, bars and facilities of Les Gets are literally on the doorstep. 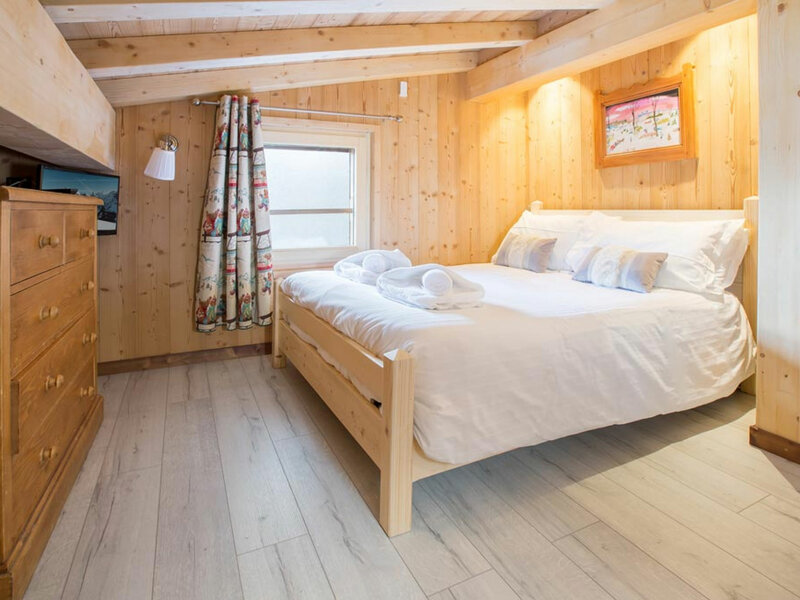 Nevertheless, it’s not just about the location – ‘Apartment du Centre’ is a private and spacious apartment with a warm and cosy ‘chalet’ feel. 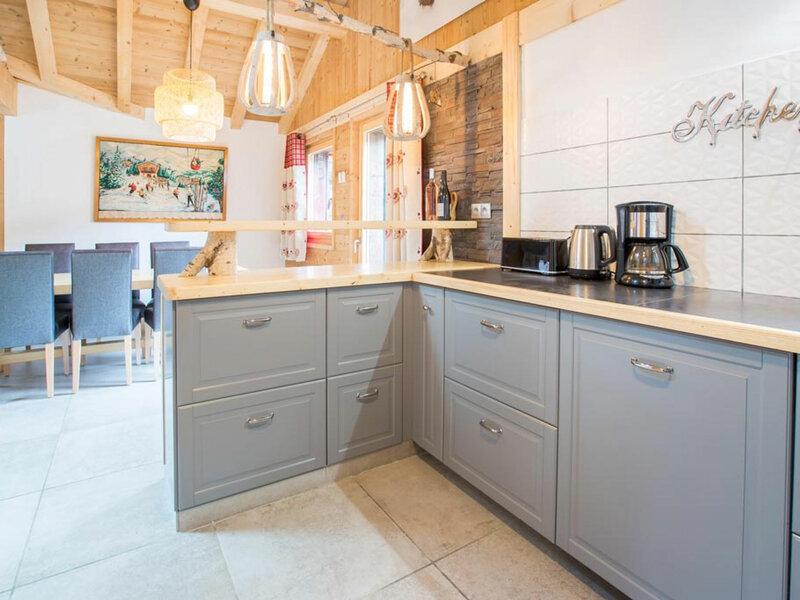 It’s been lovingly-renovated to a very high specification, respecting traditional alpine style with contemporary design, to become a fantastic ‘home-from-home’ apartment in the centre of Les Gets. 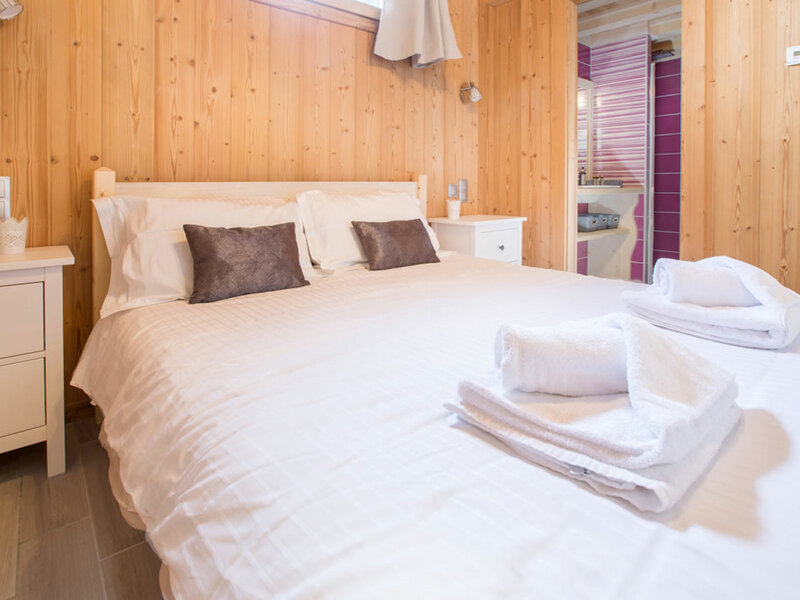 Sleeps 6-8 in 3 bedrooms + mezzanine. 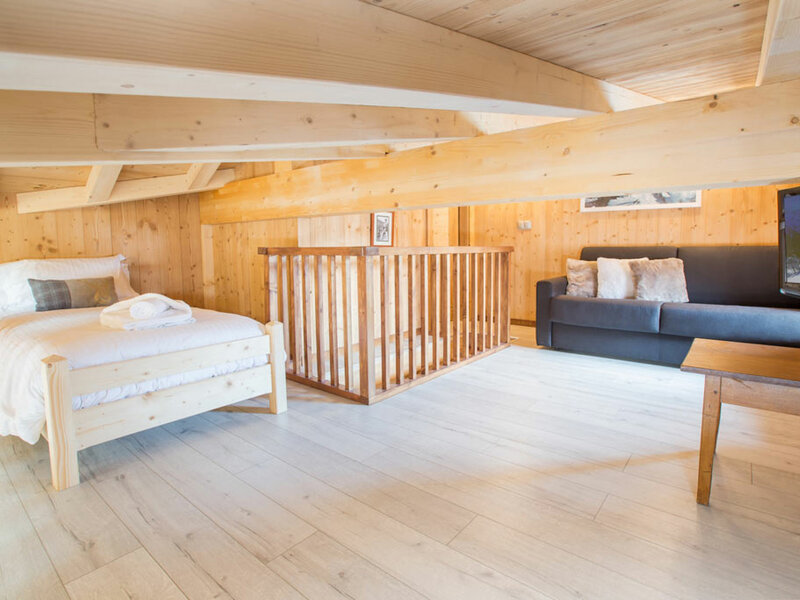 Situated at the middle of ‘Rue du Centre’, if ‘location location location’ is your prerequisite, self-catered accommodation to rent in Les Gets doesn’t get better than this. This private and spacious self-contained luxury apartment is on the 2nd floor of a small residence and above a handy ski shop. A large entrance hall leads to the impressive open-plan lounge/kitchen/dining area, with delightful features including high ceiling, exposed beams & tiled floor. There’s a hand-made dining table, elegant corner sofa and 40” flat screen TV. 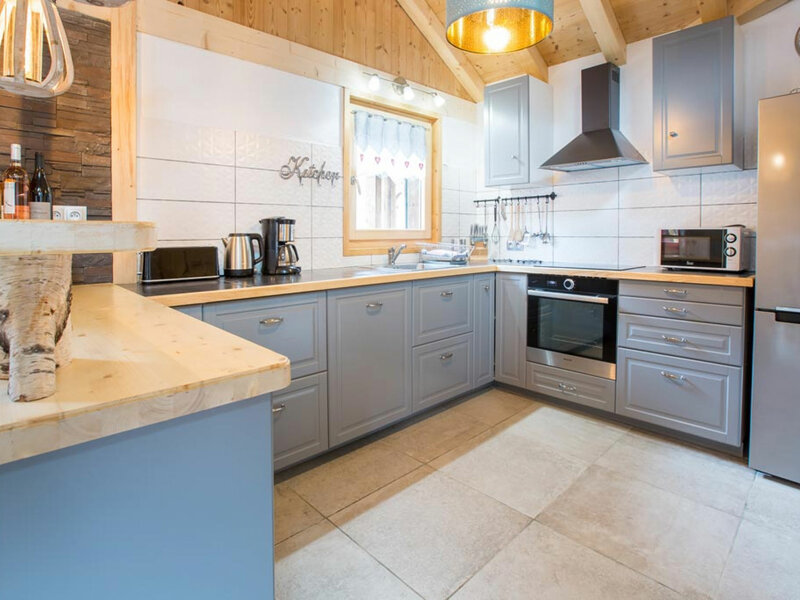 The kitchen is fitted and equipped with everything needed on a self-catered ski holiday (including large fridge/freezer, dishwasher and even a fondue and raclette kit!) 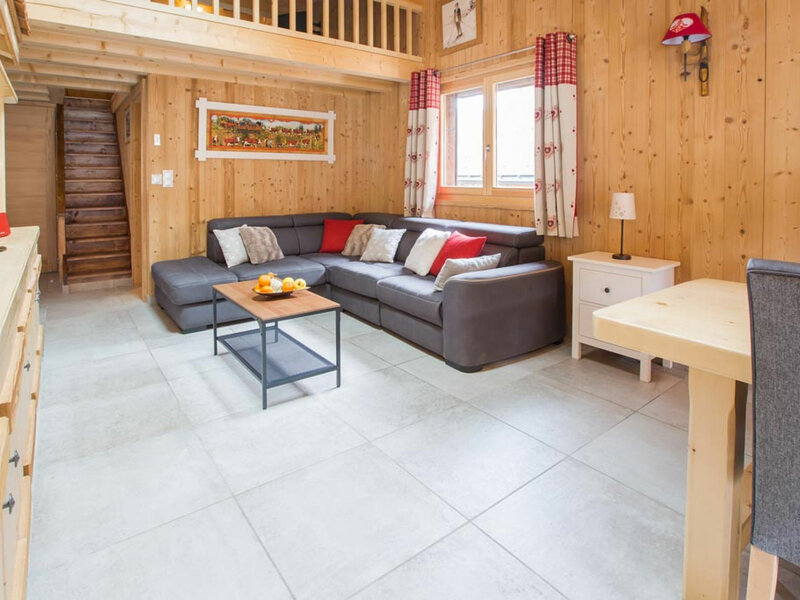 A patio door open to a private terrace with attractive views of Les Gets’ Mont Chery mountain. On the ground floor of the building is a drying room with heated boot warmers and connection to Désiré Sports, where skis/boots can be stored – plus equipment hired if required at a preferential rate. For self-drivers to Les Gets, there is one private parking space available, with additional parking at the nearby underground car park beneath the Chavannes ski lift. Please note this is a non-smoking chalet and sorry but no pets allowed. The apartment operates on a self-catered basis. Simply Morzine are THE original & best Morzine specialists, offering highly-regarded and truly unique ski & snowboard holidays since 1996. Enquire now to experience the Simply Morzine difference. * On-piste &/or centrally-located accommodation at the heart of Europe's largest ski area. * Beautiful catered chalets, self-catered apartments & chalet-hotel. * Long weekend & midweek flexible short break specialists. * Value for money without ever compromising on quality. * Well-renowned personal service & attention to detail. * Excellent discounts on lift passes & ski/board equipment hire. 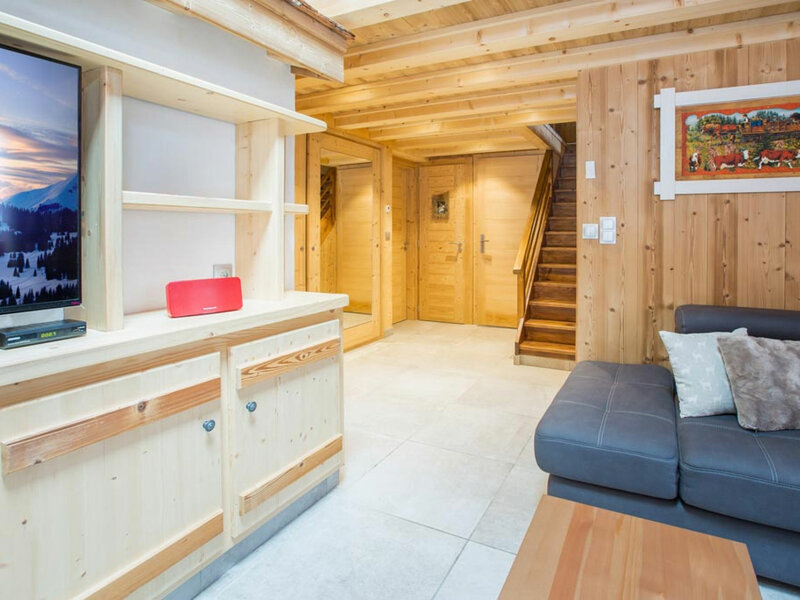 ‘Apartment du Centre’ boasts an incredible position in the very heart of Les Gets village and is bang in the middle of everything Les Gets has to offer. 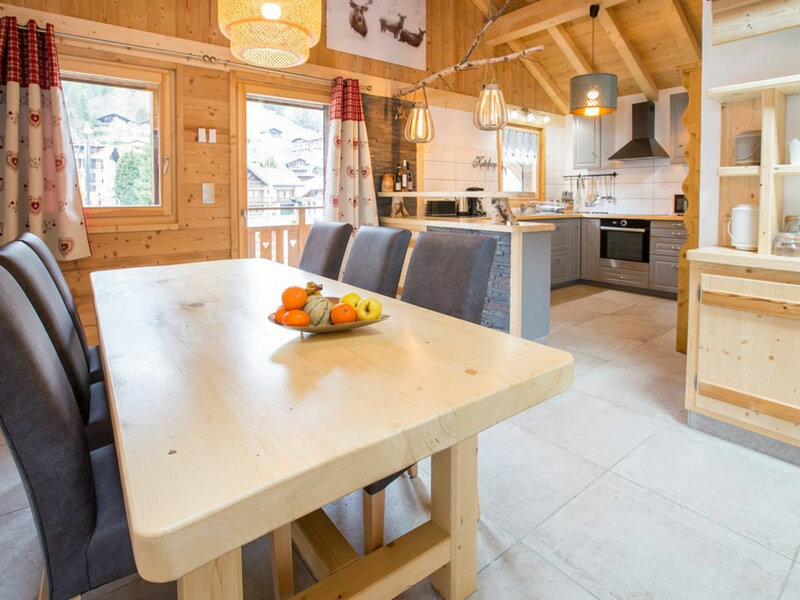 It is less than 2 minutes' walk to/from the Chavannes lifts (70m), which links to the main Morzine-Les Gets and Portes du Soleil ski areas, whilst the Mont Chery lift is close by. Les Gets' upmarket range of shops, bars and restaurants are literally on the doorstep. Situated on 'Rue du Centre’, if location is your prerequisite, it doesn’t get better than this! Whatever the time of year, Morzine is a wonderful place to visit. 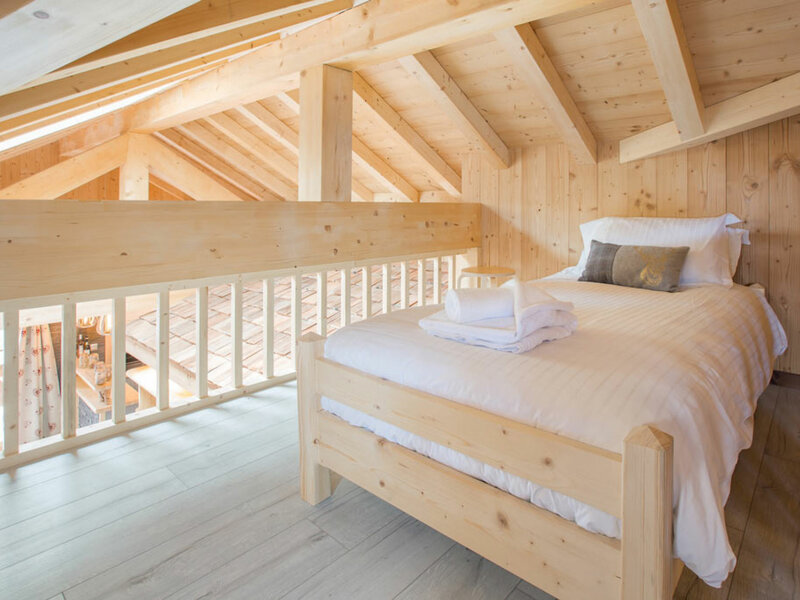 Simply Morzine's properties are available throughout most of the year to take advantage of Morzine's contrasting alpine seasons, which are a delight to behold. Morzine is a traditional alpine village with a delightful Savoyard atmosphere. The small wooden chalets and old stone buildings combine with the excellent range of recreational and entertainment facilities to give the resort a unique charm and bustling appeal. The wide variety of restaurants, cafes, bars, shops and nightclubs are all within a short distance of our properties. Morzine is situated in the centre of the Portes du Soleil region of the French Savoie Alps, half way between Lake Geneva and Mont Blanc, astride the French-Swiss border. Blessed with natural beauty, this is one of the prettiest regions in the world. The towering mountain peaks, perpetually topped with snow even in summer, serene lakes, old villages, torrents, gorges, pine forests and pasture lands are all varieties of its landscape. Whatever time of year you choose to come to Morzine, you will find that its unique atmosphere, stunning surroundings and exceptional array of activities for all ages and interests make for a truly memorable alpine holiday. Send an enquiry or booking request directly to this property advertiser.